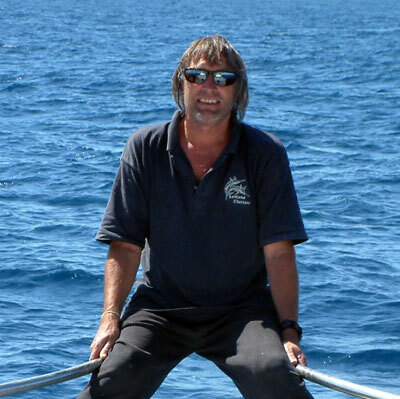 Owner/skipper of Santana is Garry (Gaz) who has been involved with the sea and boats all his life. Garry has been fishing the Northland waters for over 30 years and moved up to Whangaroa approximately 15 years ago (on a boat) and has been hooked by game fishing ever since. During this time he has brought and sold four boats including motoring one back from Australia in an attempt to find a boat he was happy with to take clients gamefishing. 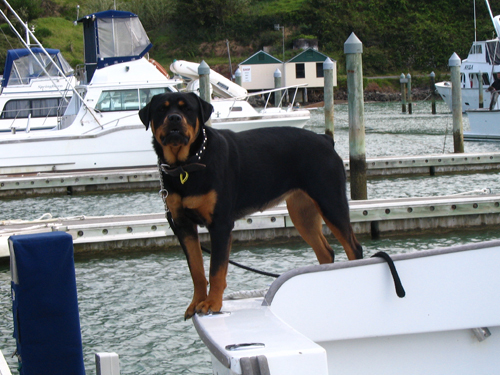 Six years ago Santana came on the market down in Paihia and finally he has found his boat. All Garry wants to do is fish and fish for marlin. He enjoys having clients onboard who have never caught a marlin - to see them jump when the reel goes off for the first time, coaxing them thru the angling and excitement when they land their first marlin. Garry is cruisy, easy-going and just wants others to enjoy the buzz out of catching a marlin.